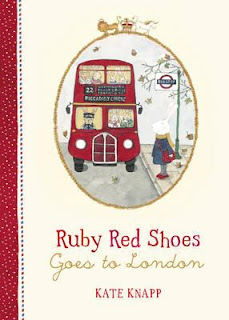 Ruby Red Shoes Goes to London is the third book in Australia’s popular and most well travelled series that 4-8 year old children are sure to love. Ruby the hare loves to travel and this time, wearing her ruby red shoes of course, she’s off to London with its red phone boxes, red letterboxes and red buses. Maybe she’ll meet the Queen? Maybe she’ll have a delightful afternoon tea? But there is more to this clever book than travel tales. It warms your heart from the inside out with family love and an understanding of death. This book shows that we are all connected to the vast universe. 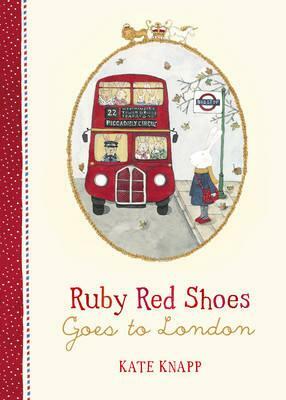 Ruby is full of wonder as she embraces the magic of living in and exploring London. Most of all, there is gratitude for the place she calls home. Kate Knapp’s illustrations shine with a whimsical touch that has superbly illustrated the story. The soft colours have a very English feel and show life in London so well from the trains that run along burrows and swoosh alongside platforms to the hop on, hop off, red buses and all the London sights along the way. There are little snippets of information through the illustrations which help add to the story. The sheer wonder of Buckingham Palace is so beautifully illustrated with detail. London looks truly delightful. The book touches upon the topics of adventure and travel, family and friends, the universe, our global connection to the world and so much more. Ruby Red Shoes is a book to be loved and treasured forever. It is well worth a read for both children and adults.